Things that you face in your class 11 are quite detailed as compared to other classes of your schooling. it's obvious to have a confused mind about the reference books for class 11.
each of these books is specialist in their own context, some are good in theory and some are experts in numerical, others are important for theorems, some are very good for competitive examination. You can trust the books that are given below for your regular studies, throughout the year. Pradeep publication, physics, it's good for both theory and numerical as well. 1.1 Best reference books for class 11 physics numerical. 2.Best reference books for class 11 chemistry theory and numericals. basically, class 11 chemistry is the theory based subject so you can trust these reference books for class 11 chemistry. lots of reference books are available for maths, you just need to know which one is good for you. These two references you can trust with regular studies, these are quite common and popular with all the students. for exams, you need to change the reference books. 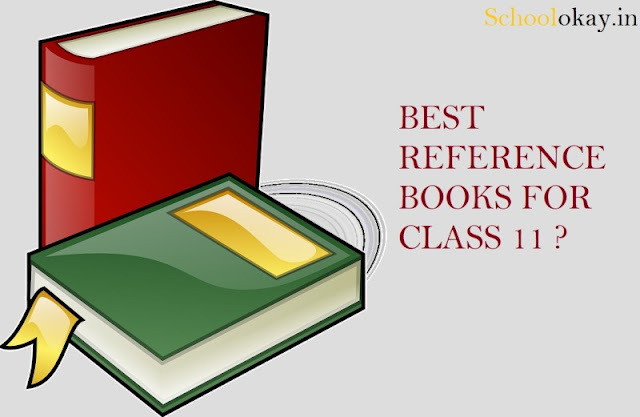 Best reference books for class 11 exam. For physics- xam idea, Oswal chapter vise solution, Arihant chapter wise solution physics. For Maths- oswaal chapter wise solution, full marks. Arihant chapter wise solution maths class 11. For English- go with the BBC it's just the best reference book for your class 11. All these are just quite good for your class 11 exams, and contains the best sample papers for exams. and have questions and solutions from previous year exams. all the books are recommended you take to go, through them, these all are helpful for your exams as well other competitive exams you are going face after your class 12.
all the above books contain the NCERT solutions as well and probably the best reference books for class 11 NCERT.